We recently wrote a post with the top 10 most expensive smart watches, but TAG Heuer had other plans for us. 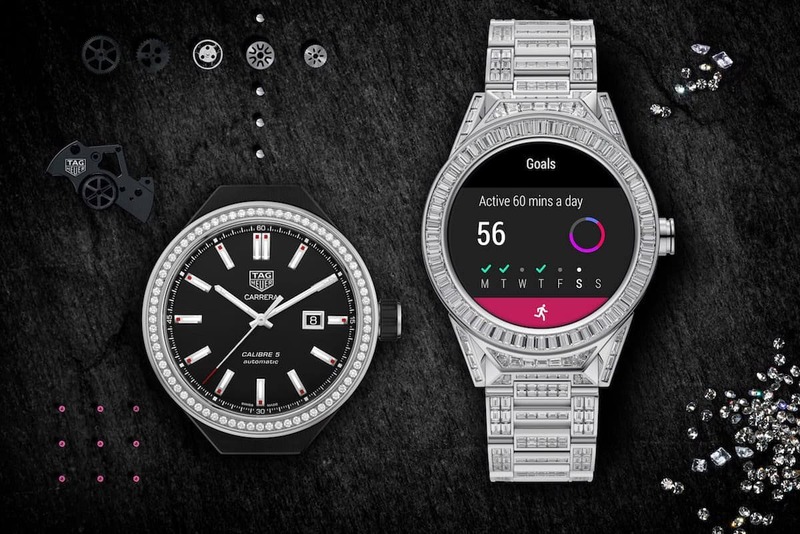 The renowned Swiss luxury watchmaker has just unveiled the most expensive connected watch in the world, called the TAG Heuer Connected Modular 45 Full Diamond. 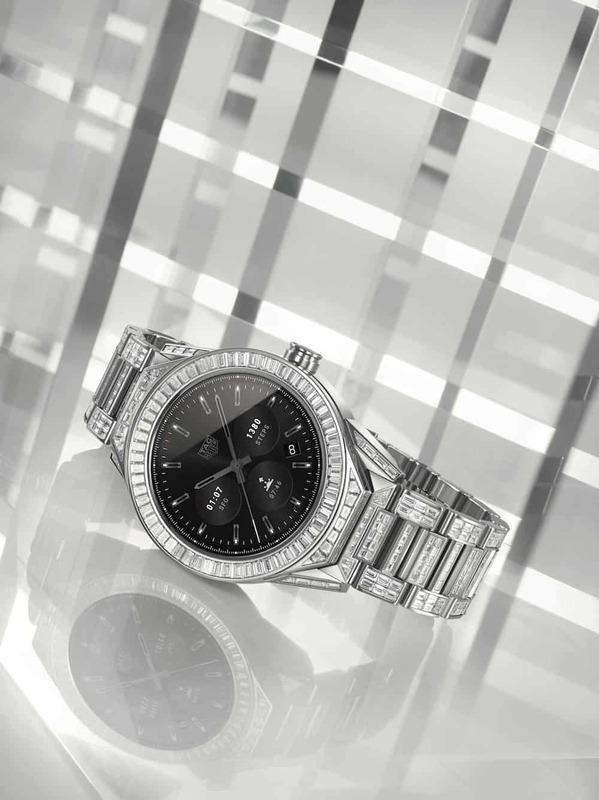 What’s really special about this smart timepiece is that it’s made of white gold and paved with hundreds of baguette diamonds, adding to a total of 23.35 carats. Allow that to sink for a while, as you find out that the price-tag on this beauty is an astonishing 190,000 Swiss Francs or about $197,000. How’s that for a conversation starter? 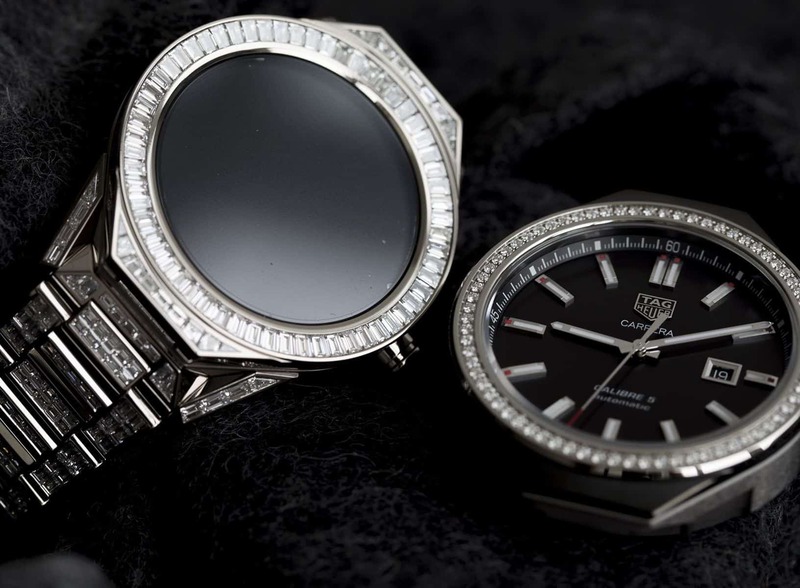 The TAG Heuer Connected Modular 45 Full Diamond shows off a 45 mm case, in 18K PD125 polished white gold, complemented by 589 VVS baguette size diamonds on the bezel, the lugs, and the bracelet. This magnificent case is also associated with a unique concept, that allows the connected module to be interchangeable with an Haute Horlogerie mechanical module. Water resistant down to 50 meters and packing GPS, an NFC sensor for payment, a high definition AMOLED screen that allows Google Wear 2.0 and a new Companion App for your smartphone, this stunning watch has plenty going on for itself. To keep up with its luxury status, the Swiss watchmaker had found the perfect balance between a smart watch and a classic luxury watch, and we’re definitely excited about the news. Aren’t you?